Welcome to Daily Puzzle Cheats blog. Browse Pictoword Puzzle answers all levels. In Pictoword puzzle game there are 17 themes [ Categories ] packs. 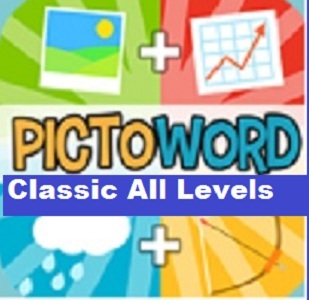 Here you can find answers to Classic Level, which is default level in Pictoword app. To check other themes answers of Pictoword click here. Solutions are given below in blue color and levels are in red color.